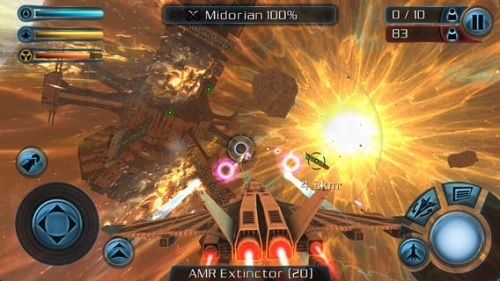 Galaxy on Fire 2 builds on the setting and gameplay of the first game and is available on iOS, Android and Windows. Players will recognise many of the places and mechanics and from the original but has plenty of tweaks that take the game to the next level. While the plot in the sequel continues on from the first game players that haven’t played the original (or can’t since it’s an iOS game only) won’t be at a disadvantage as the stories are self-contained. The core story in Galaxy on Fire 2 follows the threat of the mysterious race of Voids with additional story add-ons available for purchase (iOS and Android) titled Valkyrie and Supernova. The game itself is set over three decades after the original with Keith travelling through time due to a malfunction in his hyperdrive systems. The world has changed a lot during your absence with a new faction emerging and most importantly a new alien race known as the Voids who is taking no prisoners in its war against all factions. You’ll start your adventure with a simple spaceship and after a brief tutorial on mining asteroids (and thus paying for the ship and your rescue) you’ll be flung out into the open world that is space exploration. From here the player can focus on following along the main story involving the Voids, accept side missions from the various stations, hunt down pirates, trade commodities or become a pirate themselves and attack ships in search of goodies. 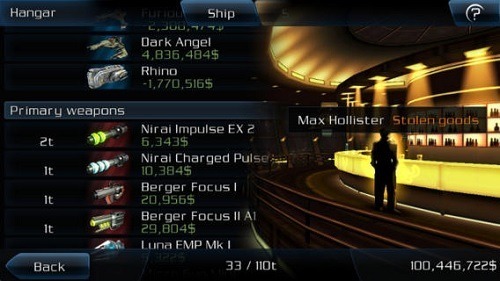 As you continue to play Galaxy on Fire 2 players have countless opportunities to upgrade their ship with different weapons, armour, shielding and other pieces of vital spacecraft equipment. Along with your ship your relationship status with the four game factions will change which may make you not welcome in their systems. On the surface it is easy to write Galaxy on Fire 2 off as a simple game but once you get your hands on the game you can see that there is a wealth of depth and thus game hours to be had. Continues the adventures of Keith T. Maxwell. Explore a huge number of star systems with multiple planets. Four factions to create relationships with or wage war against. Mine asteroids and trade commodities for credits to upgrade your ship. Good variety in side missions keeps the game fresh.